Why Book Maldives Tours with Us? A world-class holiday awaits you in the Maldives, and Tour My India is your perfect travel companion to make it all work smoother than smooth. We at TMI are acquainted with every beat of this paradisiacal destination. 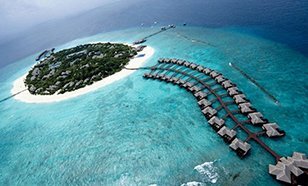 Indeed, Maldives is a getaway for those seeking a holiday amidst cyan waters and top luxury hotels, where they can imbibe the serenity and peace and are pampered throughout their stay. 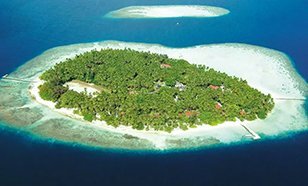 Our Maldives tours from India proffer just that except with a touch of adventure in it. With us, you have the chance to choose the best island resorts in the Maldives along with a plethora of water sports activities that can make your vacation something to cherish forever in memories. Planning an escape to the Maldives with your spouse? We have lucrative tour packages for you, where the addition of romantic candlelight dinners and cozy rooms can make a whole lot of difference. Heading to the Maldives for a luxury holiday? You can trust us with finest arrangements, be it pillow menus or a personal butler or booking rooms with private lap pools. Backpacker jitters? Well, we know exactly how to make the most of your budget in the Maldives, you can rely on us for booking the best guesthouses, arranging local transport and choosing the right places to eat. Our Maldives travel guide also lets you choose from a variety of experiences of exploring the country and its underwater universe. Whatever be your choice, we at TMI has it all well-curated in our holiday packages, so book with us and enjoy a hassle-free Maldives tour. 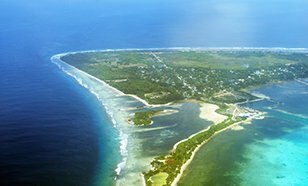 A ring-shaped island resort resting in the South Male Atoll, Biyadhoo is mostly eclipsed with some rich verdure and umber-brown forests. Biyadhoo is home to a diversity of fruits and vegetation including mangoes and coconuts, cucumbers, tomatoes and cabbages. Oftentimes, referred to as the Scuba Diving Island-Biyadhoo Beach is marked famous for being home to the site of Kandooma Thila which in turn is held notable for soft coral and a varied species of fishes. Encased by the majestic Indian Ocean, the island of Biyadhoo offers a striking view of the Maldives. 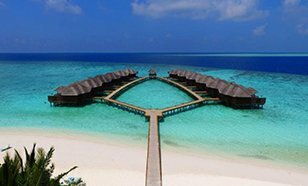 An awe-inspiring seashore setting milieu, adorned in the most modish architecture of Maldives, Fihalhoni’s star studded beach resort boasts of its water bungalows and voguish rooms with all the contemporary amenities warranting for a congenial stay. A perfect place to soak in the essence of Maldives, Filhalhoni takes pride in hosting a rich array of culinary delights coupled with spiffy diving spots and numberless amusements. Adorned by the dainty hamlets, Fulhadhoo is an endless stretch of flour-white sand and is enhanced by a rich verdure of greenery and births the picture-perfect silhouette during the setting of the sun. 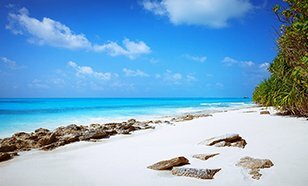 Mostly isolated, this beach is located in the Horshburgh Atoll and is girdled by naturally formed bewitching islands, magnificent sandbanks and hushed up islands. The island of Gan is located in the southernmost part of Maldives. It is the largest and densely populated island. This island is mostly visited by the tourists for holidaying because of its scenic beauty. 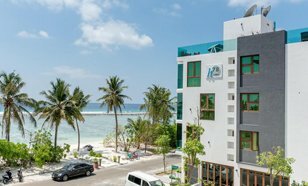 The island has a lovely hotel which serves to all the needs of the visitors and it is also connected to the other neighbouring islands of Maradu, Feydy and Hithadhoo by causeways. On your visit to this island do not miss out exploring in and around the island. One of the oldest and decorated mosques in Maldives is the Male Friday Mosque or as they call it the Male Hukuru Miskiy. The mosque is basically made up of coral material. The architecture is bound to mesmerize you. The very well-known Islamic centre is also included in this grand mosque. This mosque can approximately accommodate about 5000 people altogether. The grand mosque is adorned with a golden dome on its top which adds to the beauty of the city even more. The artwork used inside the mosque is bound leave you awestruck and compels tourists to visit the place again and again. The Hulhudhoo Meedhoo Island is popularly known as the Hulhumeedhoo Island. It is located on the eastern side of Addu Atoll and is the third largest island of Maldives. This island is a combination of two islands as the name suggests, one part is the Meedhoo and the other is Hulhudhoo. The Hulhudhoo Island has amazing landscape decorated with palmand coconut trees. It also has thick tropical vegetation. The Hulhumale Island is situated in the southern part of North Male Atoll in Maldives. This island is mainly an artificial island which had been made in order to allocate the increasing population of Male. The island attracts a lot of tourists from all over the world to witness its natural beauty and the calm and soothing surrounding. One can enjoy here many water sports activities and can relax in the white sandy beach. Tourists also get to know the modern Maldivian architecture on their visit to the island. Precisely referred to as Masjid-al-Sultan Muhammad Thakurufaanu Al Auzam, the Islamic Center is marked noteworthy for its clocklike patterns and designs that evoke stupefaction. 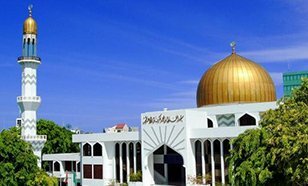 Opened by the then President Maumoon Abdul Gayoom in the year of 1984 in the city of Male, the Islamic Center houses the famous Grand Friday Mosque. 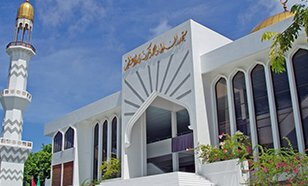 Inheriting the name from the most honourable Maldivian hero of those days- Sultan Muhammad Thakurufaanu Al Auzam, the Grand Friday Mosque is the largest of all other mosques in Maldives and is marked important for bring one of the largest mosque in the entire South of Asia allowing some 50,000 people inside it. Oftentimes known as the Maldives’ republic square, Jumhooree Maidan rests in the northern part of Male’s waterside and owe its origin back to 1989. Marked famous for having been graced with some rich green verdure and thick blanket of grass: Jumhooree Maidan attracts tourists for social assemblages. One of the favorite hangout spots amongst teen, Jumhooree consists of a pole at its epicenter hosting the highest fluttering flag of Maldives. The Maidan overlooks the Presidential Jetty used by the important dignitaries and the President himself while travelling to Male. Built with the sole criterion of catering to the decade long wish of the Male residents, this artificial beach is enveloped with a calm and composed ambience complimented with swimming facilities which warrants for a peaceful vacation. 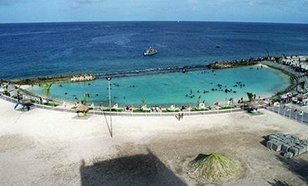 Holding out a variety of water sports like snorkeling and diving, Male Artificial Beach offers a great place for rejuvenation. One can sit on the beach for hours doing nothing and yet never get bored for the tranquility it nurtures coupled with the pulchritude of nature’s silence. Most surprisingly, this beach would never let you get the feel of it being artificial. 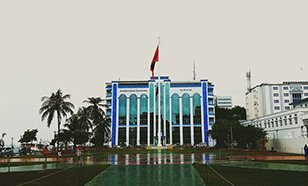 On November 1952, the first national museum of Maldives was established. 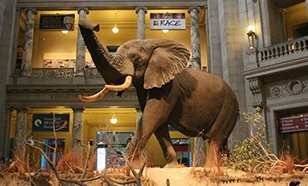 There is a variety in the collections of artifacts in the museum which includes remains of the pre-Islamic era like royal sunshades, furniture, thrones, shoes, coins, costumes, ornaments, arms and ammunitions. One can also see the dresses which were used for special ceremonies in the past, the fancy slippers and turbans, belts and many more rare embroideries. The main tourist attraction of this museum is a statue of the head of Lord Buddha which is made of coral stone. Then we have a wooden plank which is engraved beautifully from the Hukuru Miskiiy.